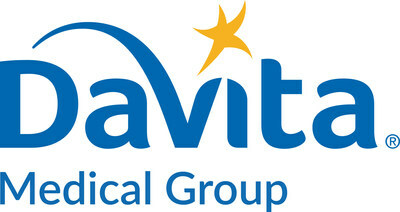 TACOMA, Wash., Nov. 28, 2017 /PRNewswire/ -- DaVita Medical Group, a division of DaVita Inc. and a leading independent medical group in the United States, today announced the acquisition of Northwest Physicians Network (NPN), a respected independent physician association (IPA) network in the Pacific Northwest. "Welcoming Northwest Physicians Network to DaVita Medical Group is a key step in growing our footprint in the region and expanding our IPA network from South Seattle down into Northern Oregon," said Joe Mello, chief operating officer for DaVita Medical Group. "This means our patients in the region should have a larger network of high-quality, independent physicians to choose from. We're very excited by this partnership and to be working with Northwest Physicians Network as we build the leading independent medical group in America." With administrative offices in Tacoma, Northwest Physicians Network is comprised of more than 1,000 primary care and specialty care physicians. Since its incorporation in 1995, Northwest Physicians Network has built a full-service managed care infrastructure and secured risk-bearing contracts with various health plans. "As Northwest Physicians Network sought to grow, we knew we needed to find a partner with access to resources, expertise, and, most importantly, an alignment with our fundamental values," said Scott Kronlund, M.D., president and chief medical officer for Northwest Physicians Network. "With their commitment to physician independence, physician leadership and focus on clinical excellence, DaVita Medical Group was the natural choice for Northwest Physicians Network." The acquisition also opens up the opportunity for greater partnership with The Everett Clinic, a part of DaVita Medical Group, potentially expanding choices for both patients and providers. This release may contain forward-looking statements within the meaning of the federal securities laws. All statements that do not concern historical facts are forward-looking statements and include, among other things, statements about our expectations, beliefs, intentions and/or strategies for the future, including the prospective performance of or synergies created by the acquired business, prospects for enhanced patient care, and the impact the business combination will have on clinical outcomes or growth of the business in the region. Factors which could impact future results include the uncertainties associated with our ability to complete any acquisition or merger that we might be considering or announce, or integrate and successfully operate any business we may acquire, and the other risk factors set forth in our SEC filings, including our Annual Report on Form 10-K for the year ended December 31, 2016, and subsequent quarterly reports filed on Form 10-Q. Any forward-looking statements should be considered in light of these risks and uncertainties. We base our forward-looking statements on information currently available to us at the time of this release, and we undertake no obligation to update or revise any forward-looking statements, whether as a result of changes in underlying factors, new information, future events or otherwise.